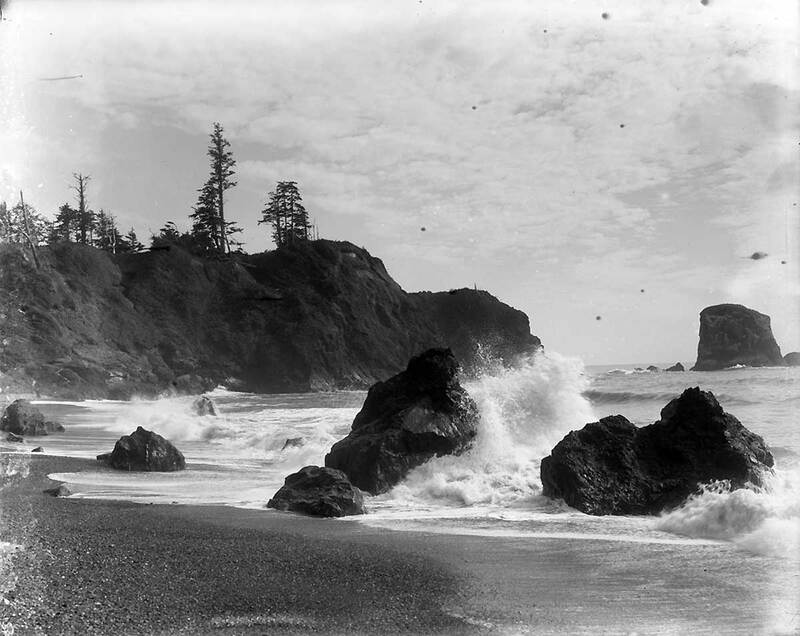 Here are a couple of Washington coast photos from the collection of history buff Ron Edge. Question is, where were they taken? 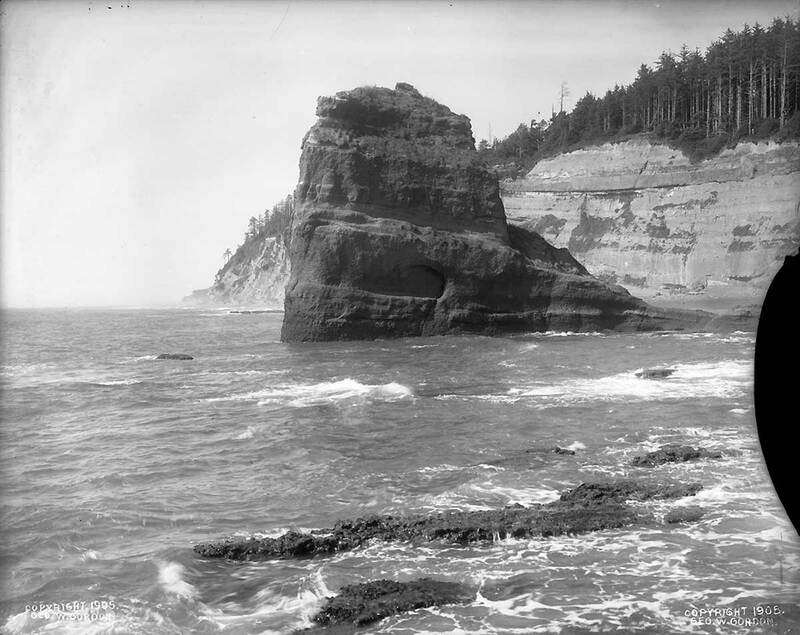 The first one dated 1905 has elements of the area north of Ruby Beach but that’s just a guess.